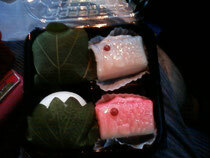 In japan,we used to eat typical Japanese cake at Event like Child day 5th May. I was started to learn French from April. I enjoy to know new thing. I hope you everything is well.